Buttered Dill Carrots–for kids too! A few weeks ago, Jeff and I were grocery shopping for Easter lunch and making up the menu as we wandered the aisles of Larson’s Cash Saver. We stumbled across one of the “Pick 5” selection’s–2# frozen carrots. Jeff loves carrots (not a favorite of my kids), but into the buggy and onto the Easter menu they went. 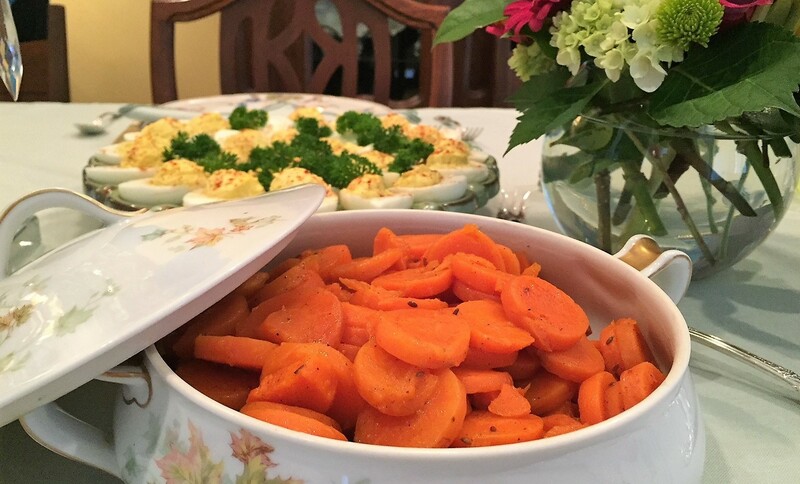 These Buttered Dill Carrots were so good, even my kids ate them with compliments afterward. A true winner! FYI: The recipe I used is actually taken from the microwaveable side pairing we recommend for our Chicken Tetrazzini. I just cooked these on the stove and used dill seed instead of dill weed. You can always drop the dill or use just a smidgen if dill is not your favorite herb. Cook carrots in water until tender. Add butter, brown sugar, and dill. Add a little salt and pepper, toss, and taste. Adjust salt and pepper to your preference. If you want them a little sweeter, add more brown sugar. Cover and allow to rest and flavors to blend for 10-15 minutes.